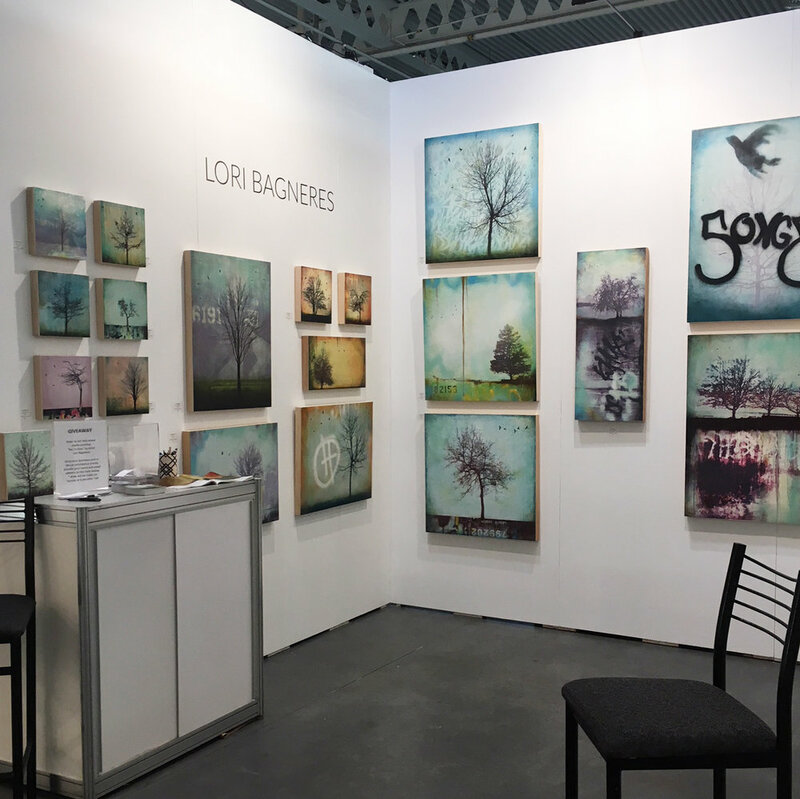 “In Urban Edge, I juxtapose images of trees and migrating crows against textured, tagged and graffiti covered surfaces - indicative of how both time and people leave their marks. I am also reflecting upon the crows' daily diaspora from their nesting grounds in Still Creek to various urban and suburban neighbourhoods in and around Vancouver. For me, this fusion of natural and cultural landscape embodies that “push” or a fascination for the city - shared by humans and birds alike - and that “pull“ that always draws you back home, to the family tree.